There is no freindly country that has offered Zambia $20 million to construct a new state house as claimed by the PF regime. instead, Information has emerged that the Zambian government will borrow US30million from the Turkish government to construct a new State House. 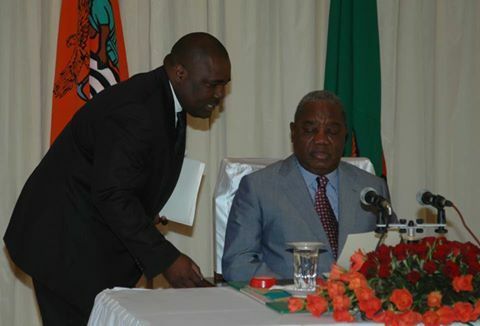 The loan has however come through an extra cost to Zambian tax payers as the Zambian government has been forced to buy a building from some Turkish businessmen linked to former President Rupiah Banda. ‘Why do you think Dickson Jere is supporting Amos Chanda on this project when all along he has been opposing whatever Chanda does?’ A source asked. According to sources, the Zambian government has bought a newly constructed building at a cost of US10million from Rupiah Banda’s Turkish business partners. The building which is situated just opposite the Zambia Information, Communication Authority (ZICTA) offices along the United Nations Avenue in Lusaka will house the newly created Ministry of National Development Planning. According to sources, the owners of the building are also linked to the owners of Horizon School along Lake Road in Lusaka. Rupiah Banda officially opened the School shortly before the 2011 elections. ” RB is at it again. He has influenced the government to buy that building from his friends in exchange for money to construct a new State House, ” one source said. Further the source said the Turkish Company earmarked to construct the new State House was the one that was supposed to construct the new Lusaka Internarional Airport before Late President Michael Sata cancelled the tender and awarded it to a Chinese company China Jiangxi. If there is a country that has offered free money to build state house, why is the name of that country kept secret? What is so secret about a country giving Zambia money when the trend is that whenever Zambua receives a handout, there a press conference.